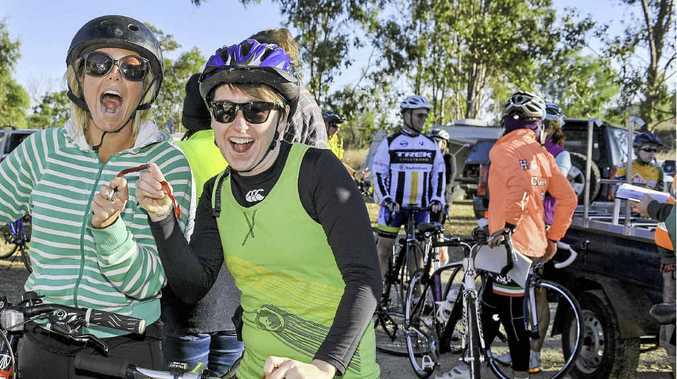 THE Boyne Valley to Monto Rd hosted a cycling extravaganza at the weekend, with the annual Tour de Chaplain taking in a 100km stretch of the scenic highway. High school students, teachers, parents and community members braved the winter chill to depart Futter Creek rest area at 7.30am. For Biloela couple Rod and Donna Muston, the cycle tour was becoming a regular tradition. Mr Muston said he did the ride last year, and was "roped in" again this year by his daughter, Emma Smith, who is the chaplain for schools in Boyne Island and Tannum Sands. 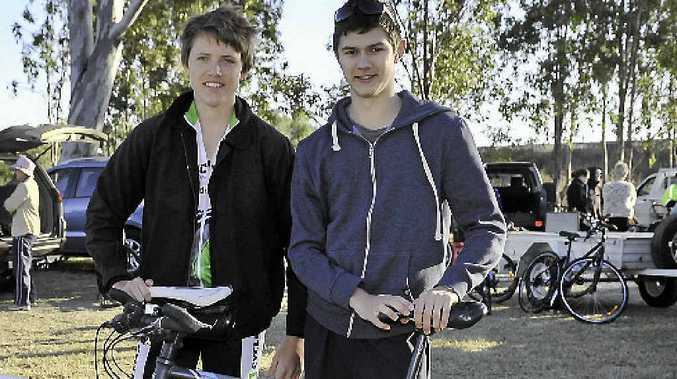 Gladstone High School students James Owbridge and Layton McLean were excited to be doing the ride. "I'm in Elites this year, the quicker of the groups," said 17-year-old James, who had readied himself with training over the holidays and aimed to do the ride in just four hours. Sixteen-year-old Layton said he loved the challenge. Gladstone District Schools Chaplaincy Committee organised the event, which attracted about 40 riders. Vice-chair Alison Young said the sense of achievement after finishing a significant ride could be life changing for many of the young people, particularly if they hadn't completed a challenging ride before. "It's great for kids, because it gives them a lot of confidence," she said. "The Tour started out to give kids that opportunity." She said the event had evolved to become a major fundraiser and was also important for raising awareness of what school chaplains do for young people in the region. James Owbridge and Layton McLean. 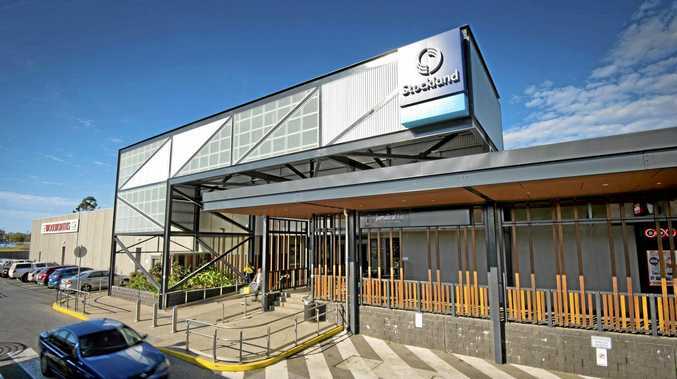 School chaplains provide counselling and a range of support services to students at state primary and high schools. Toni Seeney helped organise the event and said she felt children had a lot on their plates these days. "There are lot more challenges now, compared to when I was young." The consensus among participants in the ride was that chaplains played an essential role in schools. "I really believe in what the chaplains are doing," said physiotherapist Elizabeth Orr, who participated in the event for the first time at the weekend. "It's just gone through (federal) government that they're not going to be funded as much, so it's great if we can support them," she said.